*Note: these URL's are case-sensitive. I used to use the goo.gl URL shortener, but Google announced they no longer would support it, so I had to find a new one. After a little research, I settled on bitly. It's super easy to use - it's not only a website but also an extension. HOW I USE THIS EXTENSION ↬ A shortened URL is a perfect way to get share a link, a resource, or activity. I only have a free account with bitly and I can customize the endings, if I want. I like to name it something that makes it easy to type in (especially if it's for kiddos!) and that it make sense for what I'm sharing. For a professional learning presentation: If I am presenting to people outside my district, it's SUPER easy to put a shortened URL up on the screen for attendees to type in to gain access to the presentation. I use the URL of the correct share settings. Sharing an activity with student: When I go into a classroom do to lesson with students, I might have them type in a shortened URL to get to where I want them to be. Depending on their age, it's not a bad idea for them to practice typing in URL's every so often. For these URL's, I'm VERY conscious of what I customize the link. I'm not there to test their spelling! It also gives me the opportunity to use words/names for things they may not typically hear - URL, omnibox, bookmark bar, etc. Sharing a link on social media: Especially with Twitter, where I am limited on characters, using a shortened URL is needed! It also reminds those who briefly glance a better idea of what the link is for. Finally, one of the best things about a shortened URL using bitly, I DO get some data back. Here's where the nerd in me really gets excited! 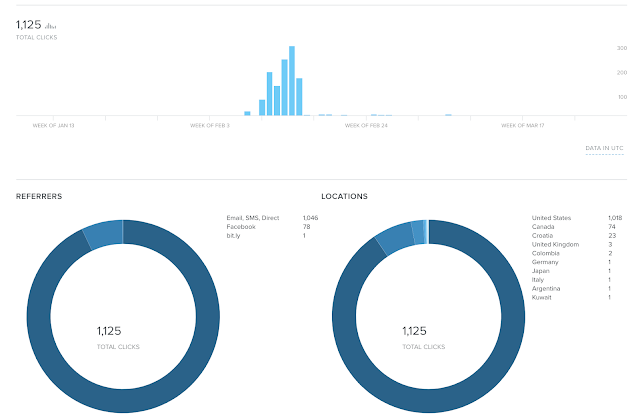 When I share a bitly link, I can see how many people have clicked on it (over the course of time, too! ); how they got the link (email, SMS, direct, etc); and even country locations. I get super excited when I see these graphs/charts. Below, I've included a screenshot of the Valentine's Day activity I sent out. It's pretty cool to see other countries listed! 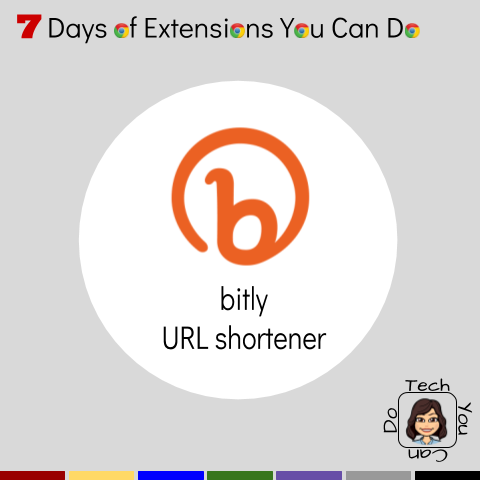 I hope these ideas inspire you to give the bitly URL shortener a try! If this extension is exciting you, be sure to check out the others on my blog, "7 Days of Extensions You Can Do".